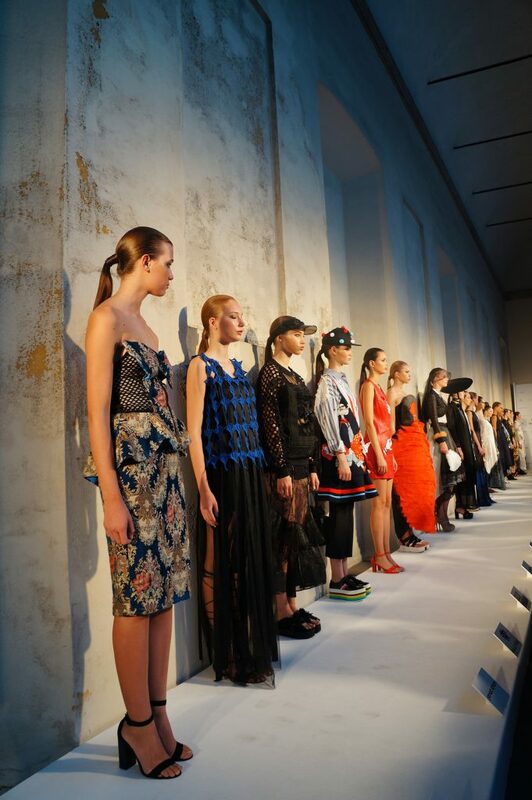 After successfully participating in London and New York fashion week, this time, “Fashion Shenzhen” accepted the invitation from the organizer of Milan Fashion Week, and launched an event in Palazzo del Senato on 26th September, 2016. More than 20 Shenzhen Local brands participated in this event, and presented their latest design to the public. In recent year, since the international communications become more frequent, Shenzhen, as one of the most important fashion cities in China, has moved forward to seek more business opportunities worldwide. In the meanwhile, this kind of events and communications not only provide more exposures for the emerging cities, but also give fashion capital, like Milan, a better chance to explore and cooperate with the potentials. Shenzhen Garment Industry Association, the event organizer, is one of the most influential organizations in China’s fashion-retail industry. Its associates include companies from Shenzhen, working in apparel, textile and accessories sectors. After the statics preview of some collections, at 8pm, three selected Shenzhen brands with completely different styles (Ellassay, La Pargay and Haiping Xie), presented their latest collections through fashion show to audience. 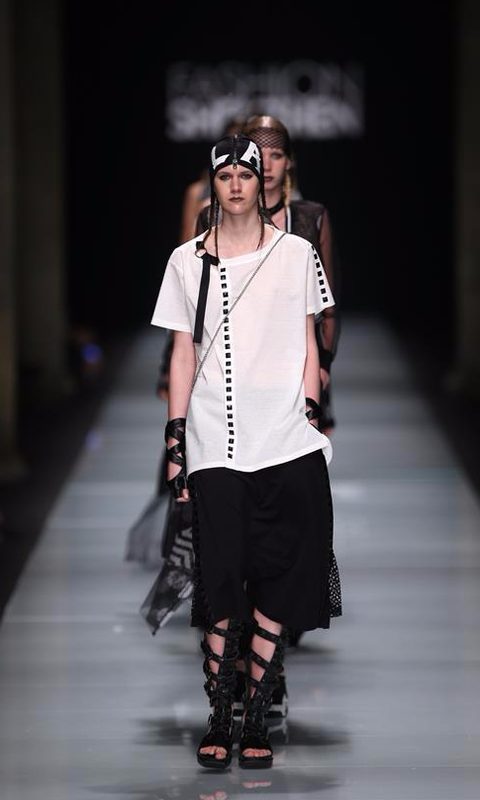 This new collection is focusing on Modernist Style, simple with dedicated quality. The fluidity of the line, the mix of different types of fabrics, vividly tells the story about the modern ladies’ city life. 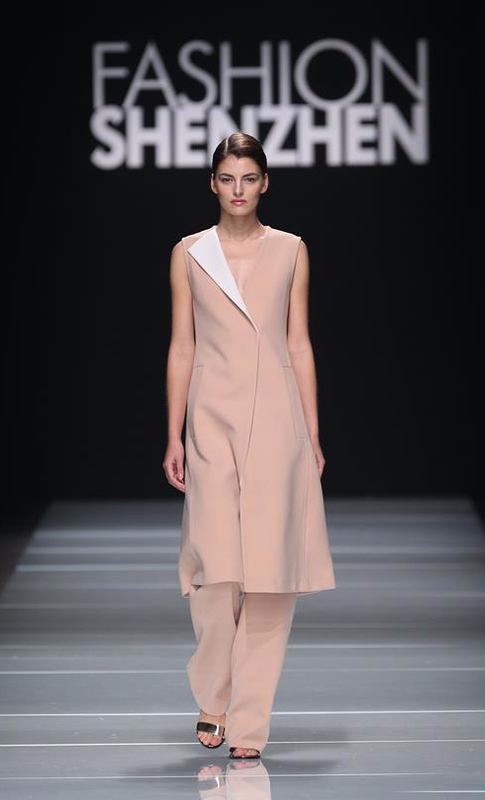 The collection applies soft light colors as usual, continually expressing their understanding about “Elegant Style”. Bringing out the fantasy to the SS17 collection, this time, the brand invites people to be “Different”. The designer was inspired from the nature, and self-thoughts, using large mesh materials, and mix & match different techniques to create cool, confident modern senses, just like the fairy worriers. Since black and white are the based colors of the brand, it is interesting to find out how they play the complexity from the simple. This time, Mr Xie got inspired from the traditional Chinese calligraphy, using silk to replace the paper, and embroidery to represent the calligraphy. 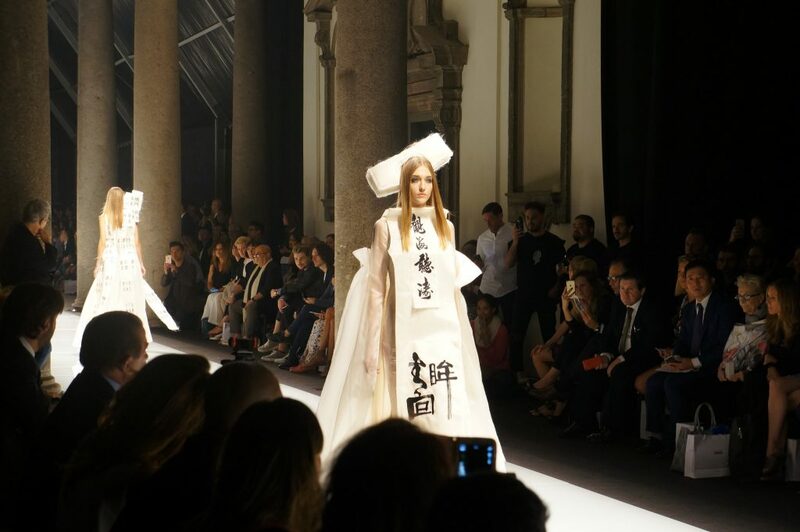 This latest collection, again, presents his reinterpretation about traditional Chinese culture.